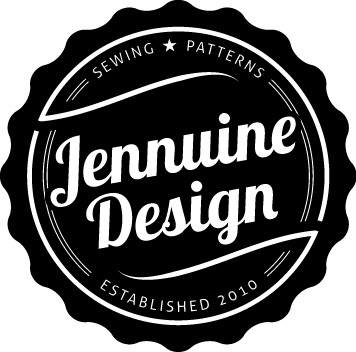 I had the opportunity to test the Leilani pattern from ModKid thanks to Sewing Portfolios! Isn’t it the cutest? 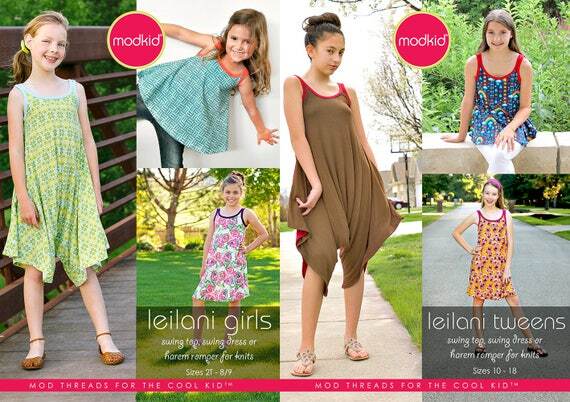 Leilani comes in girls (2T to 8/9) and tween sizes (10-18). As a bonus the tween 14, 16 and 18 equals a women’s XS, S, M. Matching mommy and me or sisters outfits, anyone? Both sizes have three options; a top, dress and this romper. I will definitely be making the other views is solids and prints. For the purpose of testing I sewed the romper, which took a little under 2 yards. This bold print was a 2 yd cut from Girl Charlee back when they did their monthly surprise Knit Fix boxes. I thought it would a fun fabric for this romper. Sadly Miss Socialite disagrees she says its “too busy”. LOL Kids. Thankfully she likes the style and has asked for a romper and a dress is solid colors. I already have a dress cut out but haven’t had a chance to sew it up yet. This pattern was a quick sew, just a front and back piece plus a neck and armhole bindings. The instructions to print and assemble the pdf pattern were clear as were the instructions and illustrations. Simple sew the side seams (and the crotch for the romper), attach the bindings and hem and your done. This project can be completed in a afternoon or evening and I highly recommended you do so. You can purchase this pattern from ModKid’s ETSY store. Available in Girls and Tweens or save and purchase Both. Were the instructions easy to follow? Very clear directions for assembly of both the pdf pattern and the romper itself. Would I sew it again? Yes, I want to make all the views. Conclusion: Great pattern with great options. *I was selected to be a pattern tester and received this pattern at no cost, but all thoughts are my honest and unbiased opinions. I am not an affiliate of the pattern company and therefore I am not compensated on sales of this pattern.